As well as having a wedding in Brighton, I also got married at my family villa, Casa Katanga in Estepona last September. It was magical, that is the best way to describe it. While the weather was overcast during the ceremony, it actually worked out really well as the previous day had been insanely hot. The sun came out while we were having drinks on the terrace, and it was lovely during dinner. The most amazing part (apart from marrying Hubs, of course) was being truly blessed by being surrounded by the great friends and family, who joined us out there. In some ways it was more than a wedding day, more like a wedding holiday as we celebrated with nights out clubbing, lounging at beach clubs and going for dinner and drinks. 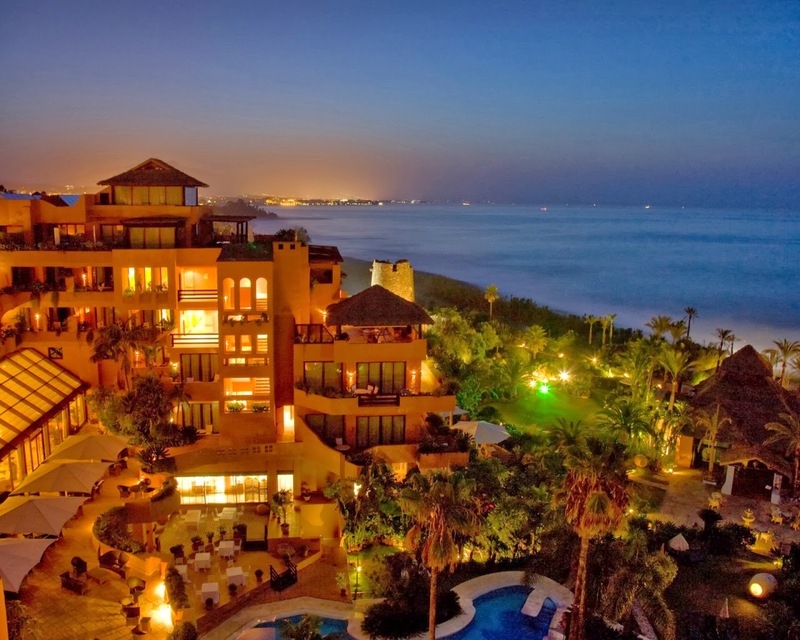 After the wedding we spent two nights at the fabulous 5 star Kempinski Hotel Bahia in Estepona. Situated on the Estepona coast, the beach side hotel is incredibly beautiful and grand, with a really nice atmosphere. Our room was stunning, it had a balcony over looking the pool area and the sea, a wonderful double shower, massive bath and his and her sinks. The bed was huge – bigger than out kingsize at home and waiting for us in our room when we arrived was a bottle of champagne, and a hand written note from the hotel manager welcoming us and congratulating us on our nuptials! The hotel has seven restaurants and bars throughout the complex. including a buffet breakfast with EVERYTHING you can imagine, ranging from croissants, pancakes, eggs, bacon and local cheeses, meats and fruits. There was also a massive range of teas, coffees, juices and freshly made smoothies. During the days we lounged by one of the many pools ordering cocktails and food from our sun loungers and taking regular dips to cool down, although one day I laid out a bit long, and my back and legs turned a particularly bright lobster! The staff and service at the hotel was amazing too! When we called room service for some ice for our champagne, it arrived with in moments – not minutes, moments!